There is maximum mortgage amount for each county. Check FHA loan limit for your county. More flexible underwriting guidelines and extenuating credit and income circumstances may be considered by the lender. Non-occupant co-signers are allowed on this program. FHA Approved Condos-Single family home-2-4 unit properties, and PUDs are eligible. 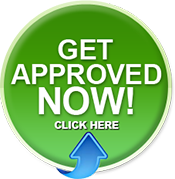 Fast automated underwriting approval available. Also, the file can be manually underwritten by a live person to get loan approval if you do not receive approval through automated underwriting system. This entry was posted in $10,000 Down Payment Assistance Grant Kentucky, $100 Down FHA Mortgage, 100% Financing, 2019 Kentucky First Time Home Buyer Programs, 2019 kentucky homebuyer down payment grants, collections, collections and FHA, Common Questions from Kentucky First-time Homebuyers, Condo Financing FHA in Kentucky, Condos FHA Approved Louisville, Debt to Income Ratio, Documents needed for Kentucky Mortgage Loan Approval, down payment, Down Payment Assistance, Down Payment assistance and closing costs, Down payment Assistance and Grants, Down Payment Assistance Program - Housing - Louisville Ky, Down Payment Assistance Programs in Kentucky, FHA, FHA Approved Condos Louisville Kentucky, FHA Home Loans in Kentucky, FHA Loan Checklist for Approval, FHA Loans, FHA Loans Kentucky Housing First time home buyer, FHA MORTGAGE INSURANCE PREMIUM, fha refinance, FHA vs Conventional Credit Scores and Down Payment, fhe refinance, Fico Score, First Time Home Buyer in Kentucky Zero Down, First Time Home Buyer Loans--Kentucky, First Time home Buyer PRgoams, First Time Home Buyer Programs Louisville Kentucky, Grants, Housing Market in Kentucky, hud homes in ky, Income limits, job gaps, job history, judgements, Kentucky HUD Homes for $100 Down, Louisville First Time Buyer Mortgages, Louisville Kentucky FHA Loans Lexington Kentucky FHA Loans, Louisville Kentucky FHA Loans Lexington Kentucky FHA LoansElizabethtown Kentucky FHA Loans, Louisville Ky First Time Home Buyer Loan, Louisville Metro Down Payment Assistance, Manual Underwriting, manufactured homes, mobile home loans, Mortgage Insurance, Mortgage Insurance FHA, no down payment, overtime income, owner's title insurance, part time income, part time job income, PMI, points and fees, Self-Employed, Shortsales, STUDENT LOANS, Tax Returns, tip income, Tips to ensure your Kentucky mortgage closes smoothly and tagged 2018 kentucky fha mortgage loan guidelines, 2019 fha kentucky requirements, 2019 Kentucky First Time Home Buyer Programs, fha loans, Kentucky FHA HUD Homes for $100 Down, kentucky fha loan, kentucky fha mortgage loan, KY FHA LOANS, Louisville Kentucky FHA Loan. Bookmark the permalink.